That’s a great question. 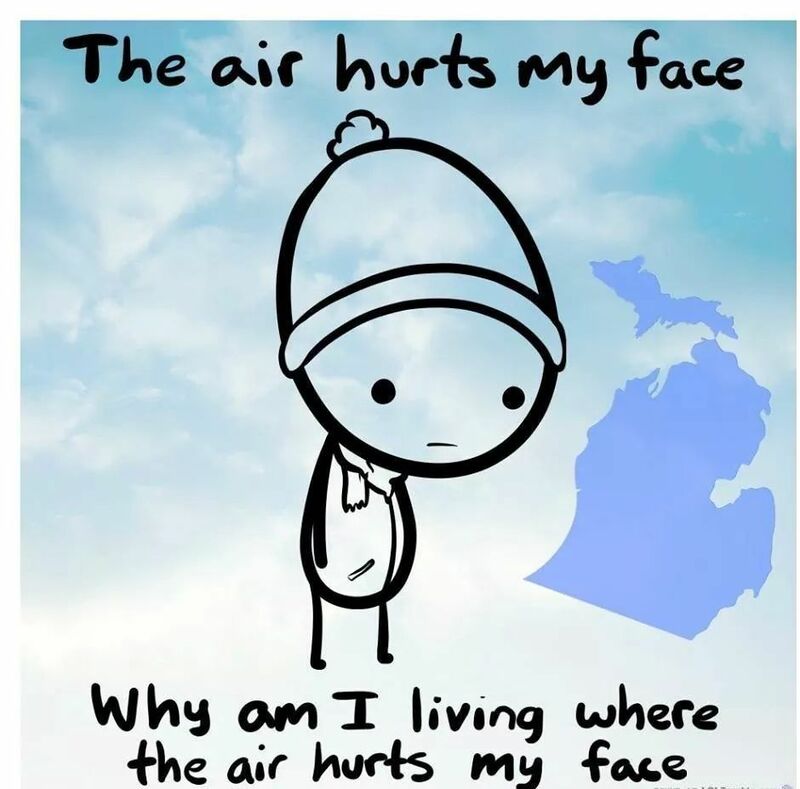 Why are you living where the air hurts your face? I understand. It’s taken me 4 years to be poised on the edge of leaving. Awwwww…. you could get sunburn on your nose, and think about how much THAT would hurt. Or, you could drink too many tropical drinks and get a belly ache. I dunno, though– you could get a cut from opening that Bailey’s bottle. Or a tongue burn from the chocky. Been there – went to high school in Vermont, had a morning paper route where it was routinely -20 F or worse at 5AM. At the other end of the spectrum with the air not doing its job properly, in Phoenix and Las Vegas in the summer, some days it gets so hot that the air will not let planes take off and land. True fact. As the air gets hot it gets thinner (altitude density) so an airport at 1,000 ft above sea level will act like an airport at 4,000 or 6,000 feet up. The thinner the air, the faster you need to be going, which means a longer runway to build up speed. After a while you get to the point where the runway that was fine when it was 100 F is now too short when it’s 115 F. Ditto for landing – you have to fly faster to stay in the air, there are maximum speeds you can safely land at, so you either need an alternate airport or a way to stay up there forever. I had no idea that it could get so hot the planes couldn’t land, or take off for that matter. I have a friend in Las Vegas. I know she fairly lived in the pool last year. But I had no clue it could affect the planes like that. Wow.